New research suggests that polar bears are being forced to swim more often as climate change reduces Arctic sea ice. University of Alberta bear biologist Andrew Derocher says the forced swims are particularly hard on mothers with young cubs, who can't take the cold water as well. 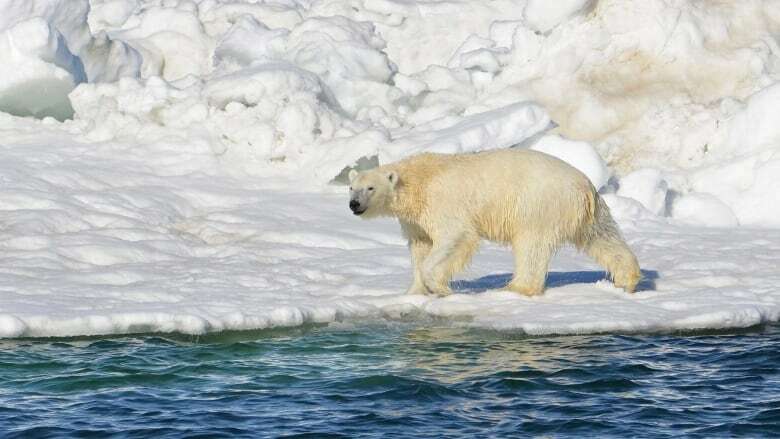 Derocher and his colleagues took data from GPS collars detailing the bears movements and compared it with satellite imagery that revealed the extent of sea ice from 2004 to 2012. They found two-thirds of Beaufort Sea bears took swims of longer than 50 kilometres in 2012, up from one-third in 2004. Derocher says that's probably one of the main reasons that population is declining. He says the Beaufort bears will probably have to start spending more time on land like those around Hudson Bay do.